We have been dreaming of a pretty vintage-inspired floral dress with a modern twist—and now we have it! The Garden Dreams Crochet and Lace Dress has a cream background with striking bright purple, pink, yellow, and green flowers on it. It features a row of beautiful pearly buttons down the front and ivory crochet lace on the front as well as the sleeves. An ivory ribbon belt wraps around the back of the dress and ties, cinching the waist. This is a lovely dress with a lot of impact. 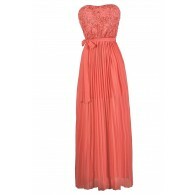 It would look great with a pair of ivory pumps…this gorgeous dress speaks for itself and needs few accessories. You could also wear it more casually with flats or sandals if you prefer. Fully lined. 100% rayon. Lining: 100% polyester. Hand wash cold. Small measurements: Length: 34-35”. You have added Garden Dreams Crochet and Lace Dress into Wishlist. You have added Garden Dreams Crochet and Lace Dress for Stock Notification. You have set Garden Dreams Crochet and Lace Dress as a loved product. You have removed Garden Dreams Crochet and Lace Dress as a loved product.